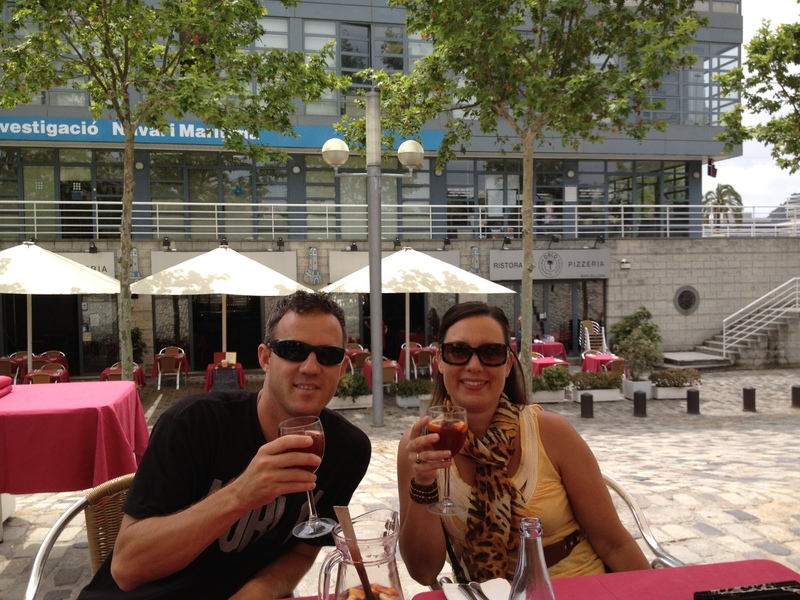 One of my favorite things about Barcelona is the Sangria!!!! 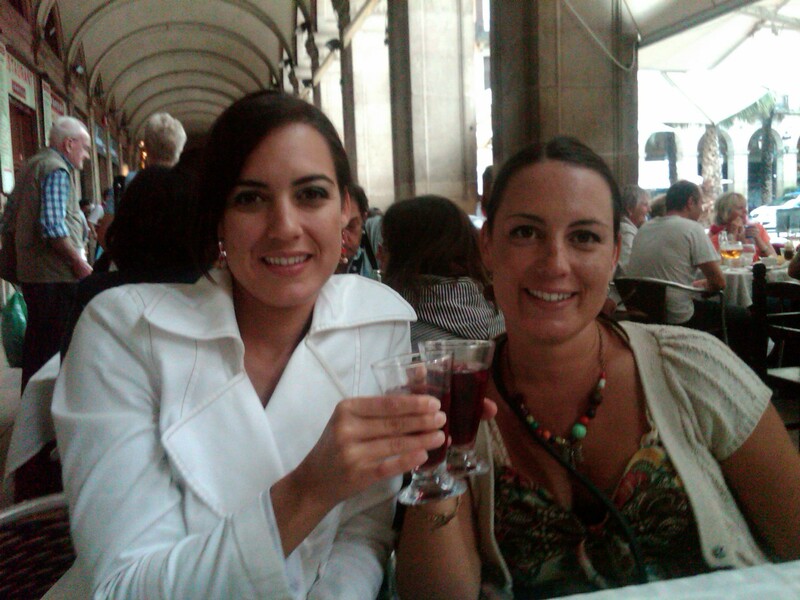 I have been to Barcelona twice and both times, fully indulged in the Sangria. The picture above is at a restaurant on the Barcelona Wharf. Need I say more. What makes Spain’s Sangria so deliciously unique is…..the full body and character of the wines made in Spain. Sangria can taste like watery soup if made incorrectly. Eons ago were the wine-loving Romans in Spain who wisely discovered when settling in the area that the climate was ideal for growing grapes. As time passed, Europe’s penchant for wine-based punches enhanced with fruit and often other alcohol. wine from Spain, Portugal and Argentina. It normally consists of wine, chopped fruit, a sweetener, and a small amount of added brandy. Chopped fruits such as oranges, lemons, limes, apples, peaches, melons, berries, pineapple, grapes, kiwifruit and mango are commonly added. The usual sweeteners are honey, sugar, syrup, or orange juice . You can really make sangria your own by substituting brandy for other liquids such as Seltzer, Sprite or 7 Up. 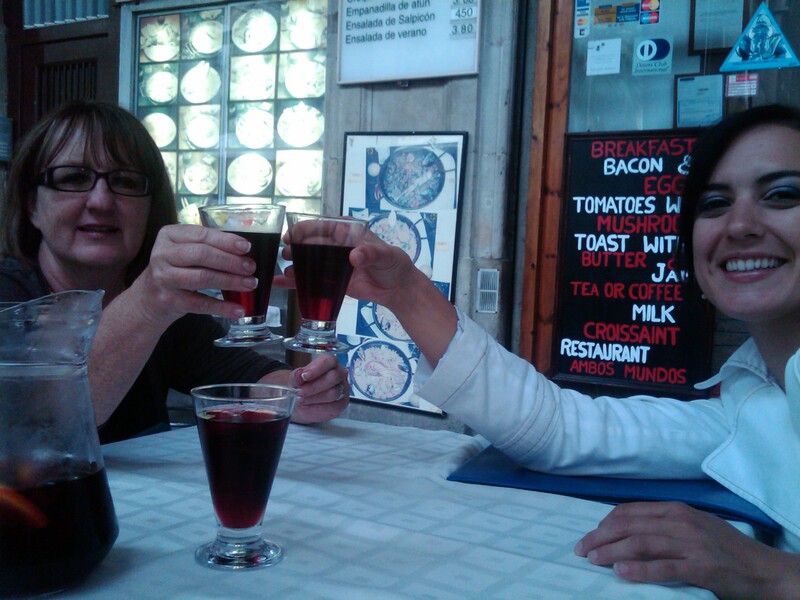 In some parts of Southern Spain, sangria is called zurra and is made with peaches or nectarines. Sangria is served throughout Spain and Portugal during summer. Sangria is often served in 1-litre pitchers or other containers large enough to hold a bottle of wine plus the added ingredients. Among the Spanish and Portuguese, sangria is most typically served at informal social gatherings, much like punch, from a punchbowl. 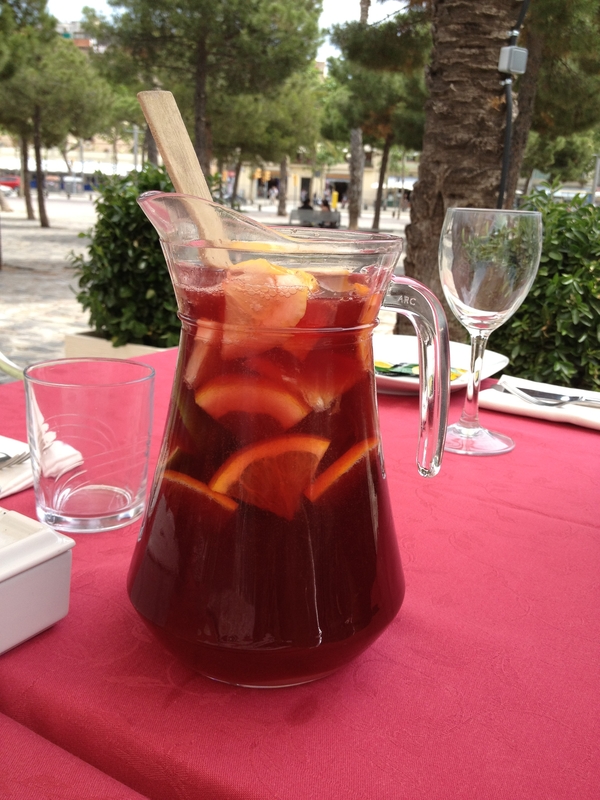 Sangria is often served with a wooden spoon, used to get fruit out of the bottom of the punchbowl or pitcher. Sangria was initially introduced to the United States in 1964 during the World’s Fair in New York. Although many believe that this wine punch has been around in Europe in various incarnations for hundreds of years. Sangria is so pretty!!! Traditionally sangria is served in a pitcher but at parties I have served it in a large, glass container with a spout because it looks gorgeous. If you serve it this way, be sure to have fresh fruits that were marinated in the sangria overnight, on the side so people can add them to their drink. Another fun idea is to make two sangrias- one for kids and people who prefer not to have alcohol and one for the adults. When making the sangria for kids, use white grape juice instead of wine and omit sweetener. It is a great party drink for all seasons. I have served sangria at winter parties with apples, cinnamon sticks and pears floating inside. National Sangria Day is December 20th!! When making or ordering sangria, what you must know is that the main ingredient – fruit is what differs the types of flavors for sangria. In addition, whether or not spritzers are added. Refrigerate over night and add 7-Up at the last minute!!! Rosé wines are popular and very delicious to use in sangria, particularly when combined with ripe, in-season fruit. Serve with small forks so you can pull out fruits swimming in the drink and eat them. 1. Pour the wine and orange liqueur into a large bowl. Whisk in the icing sugar until dissolved. Taste and add more icing sugar, if needed. Add the fruit, cover and refrigerate at least 4 hours, or overnight. 2. When ready to serve, stir the soda water into the sangria mixture. Fill a pitcher or two, depending on size, half full with ice. Ladle in the sangria and serve.